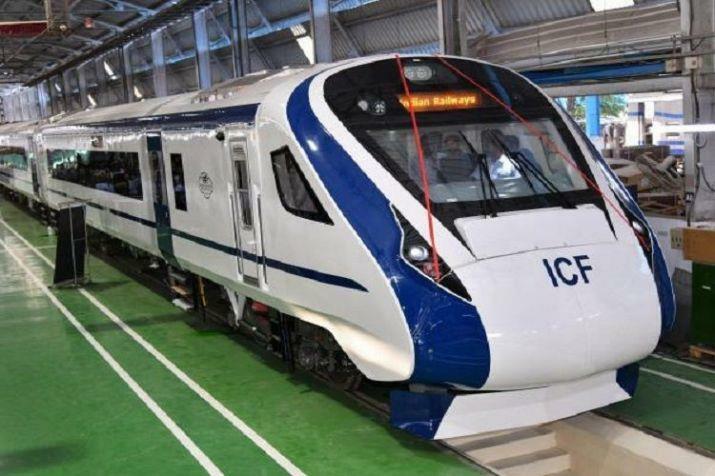 New Delhi, Feb 7: Prime Minister Narendra Modi will flag off the indigenously built Train 18, called the Vande Bharat Express, on February 15 from here, a Railway Ministry official said. Train 18, the country's first engine-less train manufactured by the Integral Coach Factory in Chennai, will be flagged off at 10 a.m. from the New Delhi railway station. "He will also address people while flagging off the train," the official said on Wednesday. The passengers travelling from New Delhi to Varanasi in the executive class will be charged Rs 399 for morning tea, breakfast and lunch, while travellers in the chair car will need to pay Rs 344 for the same. While the passengers travelling from New Delhi to Kanpur and Prayagraj will have to pay Rs 155 and Rs 122 for executive class and chair car, respectively. The Railway Ministry had earlier indicated that the fare of Train 18 would be 40-50 per cent higher than that of the Shatabdi Express. Railway Minister Piyush Goyal had earlier said that the indigenously built train would complete the distance of 795 km in eight hours, 35 per cent faster than other fastest trains on route. Train 18recently became India's fastest train by hitting a speed of over 180 kmph during a trial run. It would soon start replacing the Shatabdi Express trains and run between Delhi and Varanasi. The gleaming blue-nosed train comes fitted with the world class amenities like high-speed on-board WiFi, GPS-based passenger information system, touch-free bio-vacuum toilets, LED lighting, mobile charging points and a climate control system that adjusts the temperature accordingly. The 16-coach train will have two executive compartments which will have 52 seats each and trailer coaches will have 78 seats each. The executive class will have rotating seats to match the direction of the train.